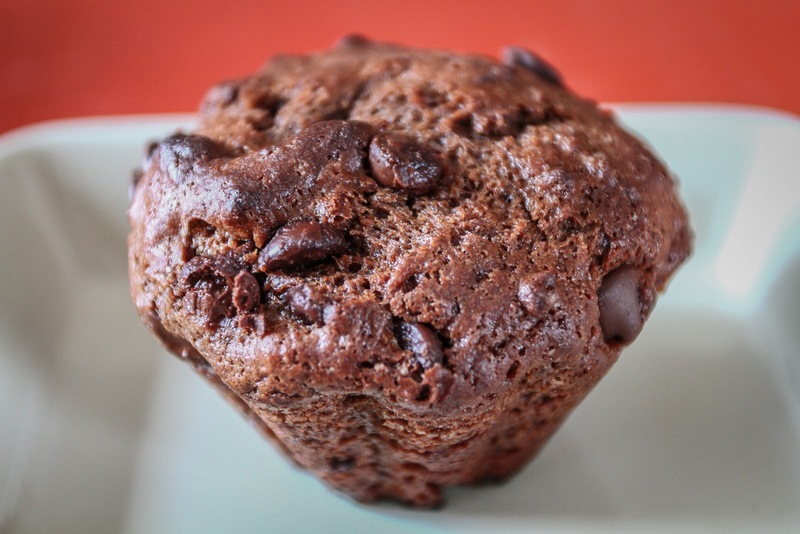 What is better than a chocolate muffin? A muffin with more chocolate! 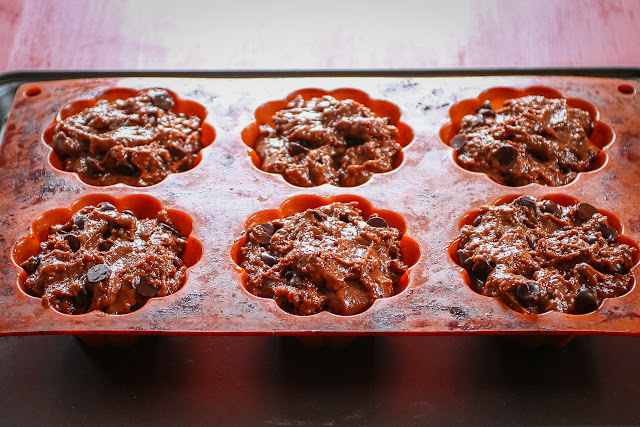 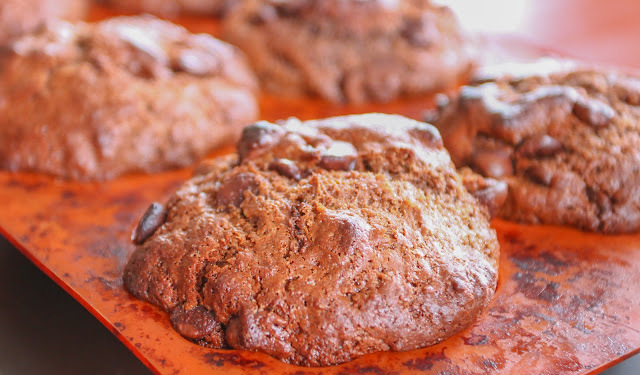 So why not try to make chocolate-chocolate chip muffins?! 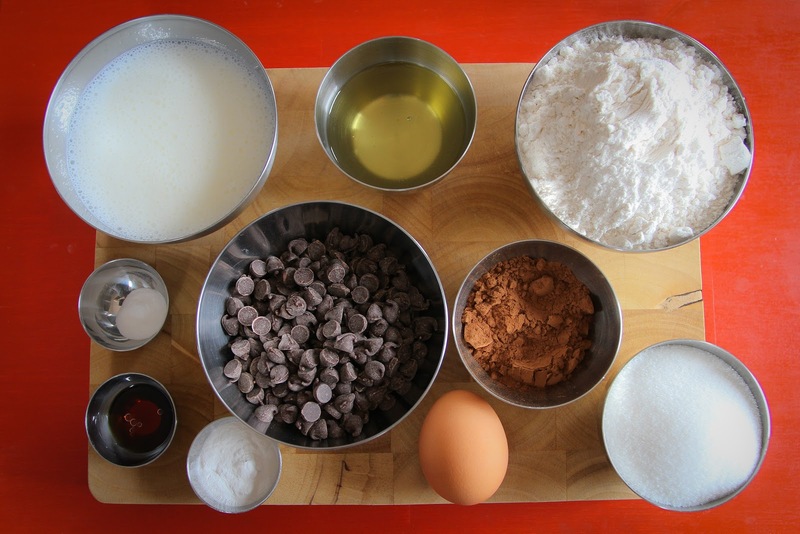 They are easy and quick to make, and everyone at the table will rejoice. 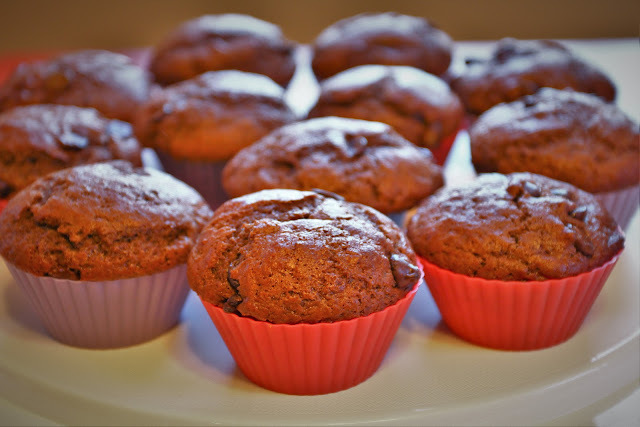 Bake them for your fancy dinner party, pack some in your kid's lunch box, prepare them for your better half for a romantic dinner, make a batch for your colleagues at work, or simply make them because it's Monday ... 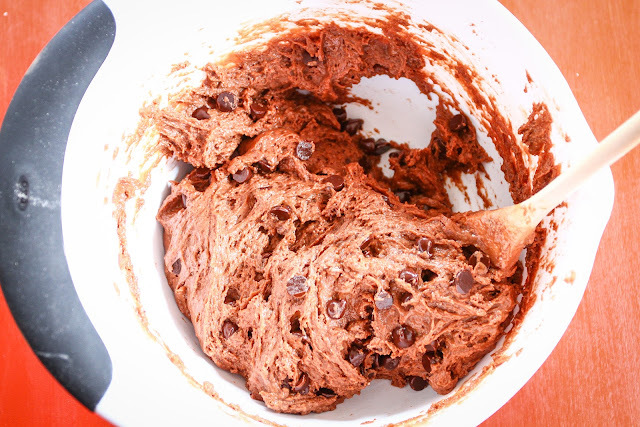 They work for every occasion. Start by pre-heating your oven at 205 degrees Celsius (400 degrees Fahrenheit). 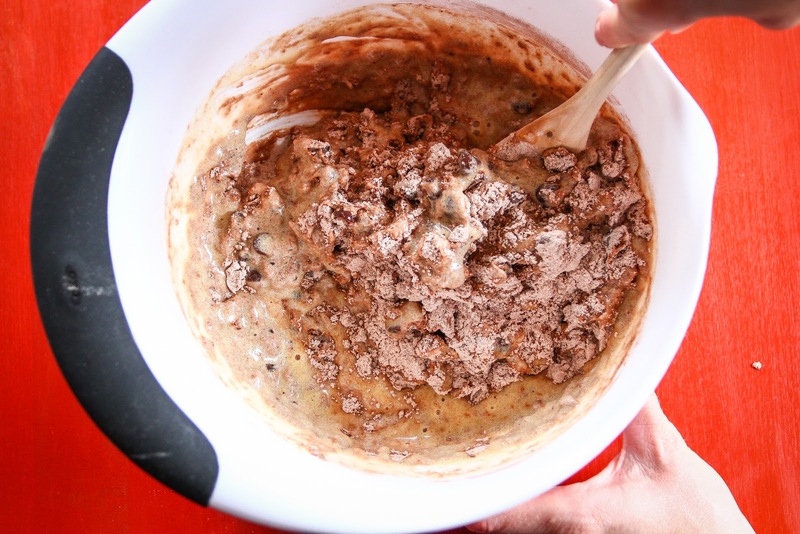 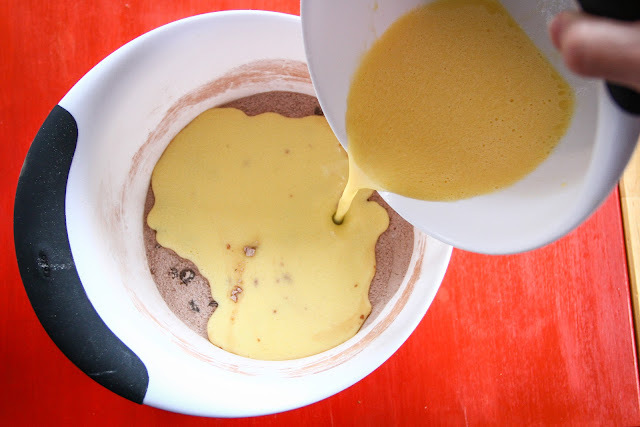 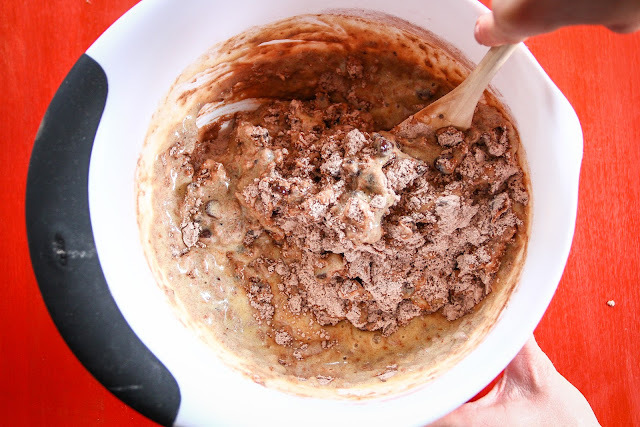 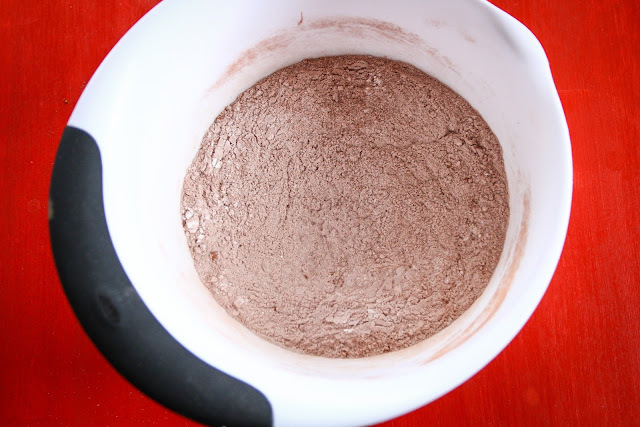 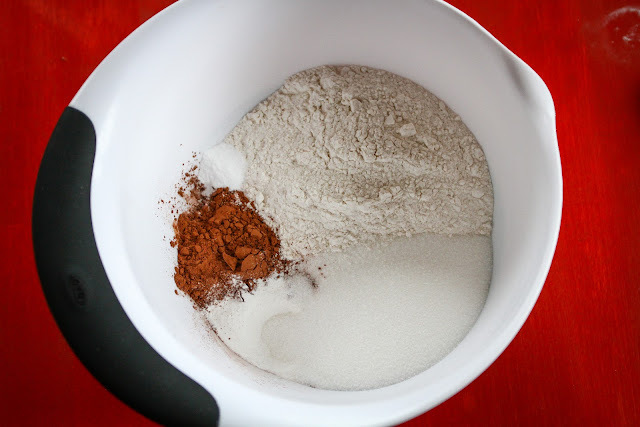 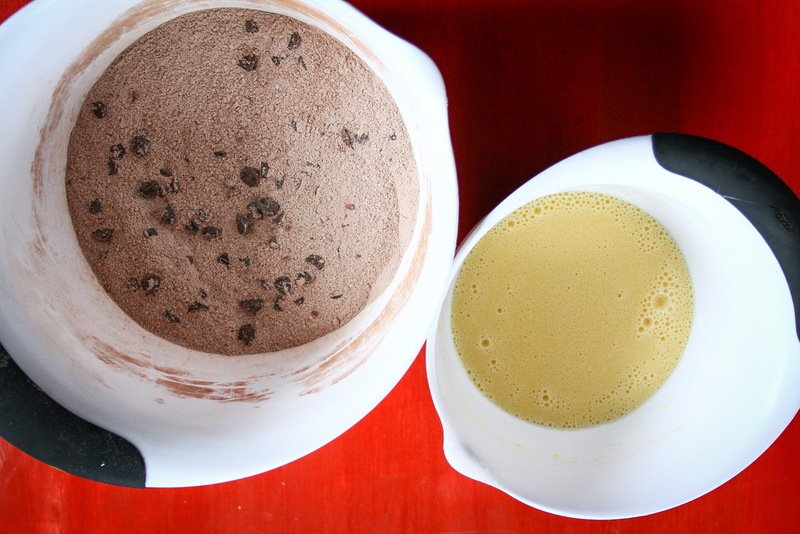 In a bowl, mix the flour, baking powder, baking soda, cocoa powder, and sugar together. 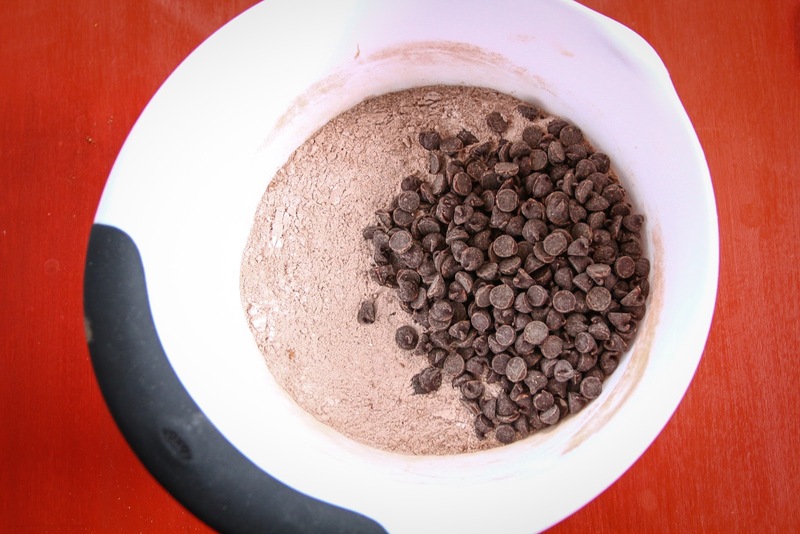 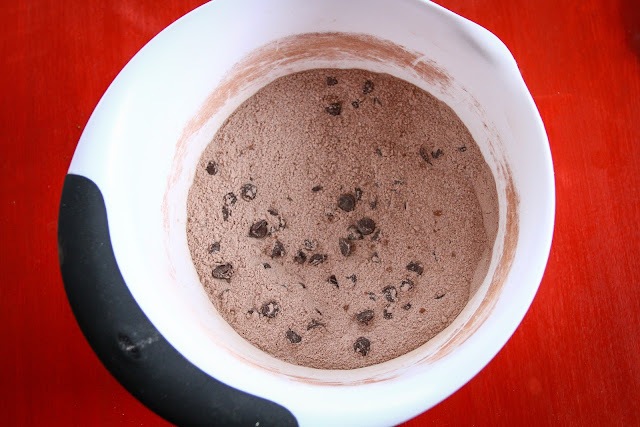 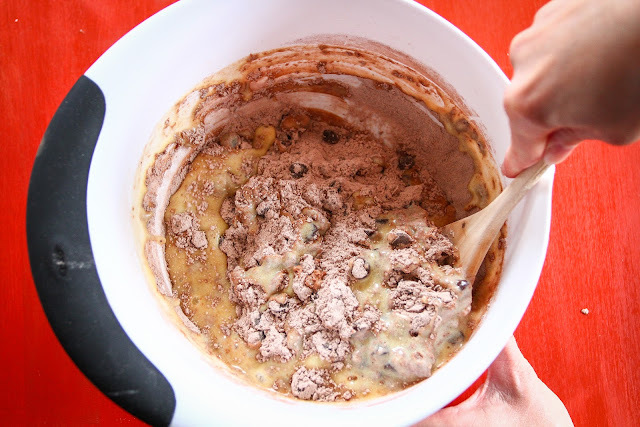 Add the chocolate chips to the dry mix and stir together. 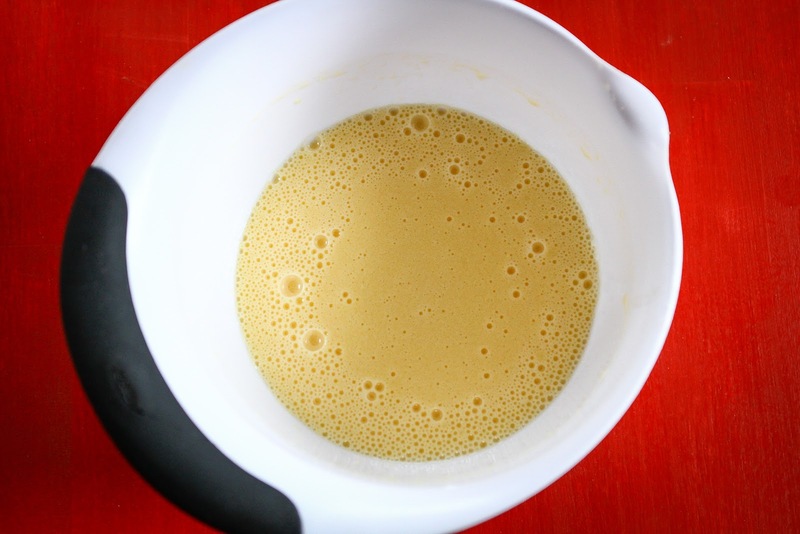 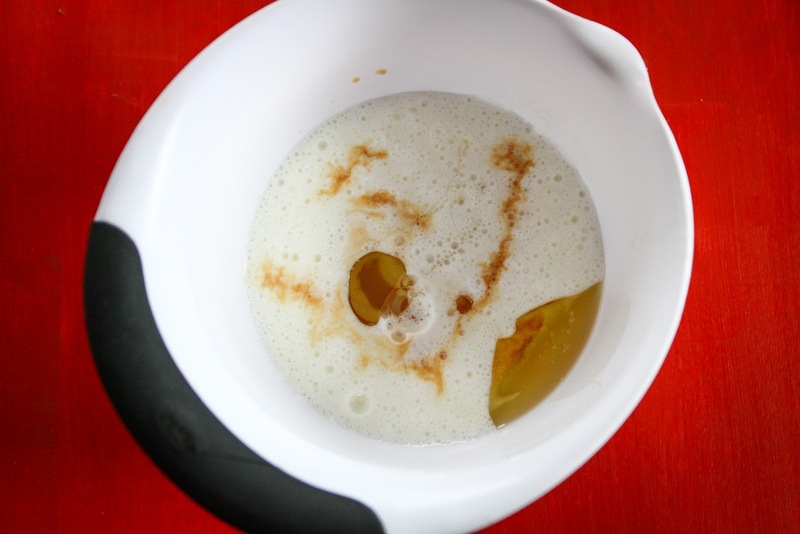 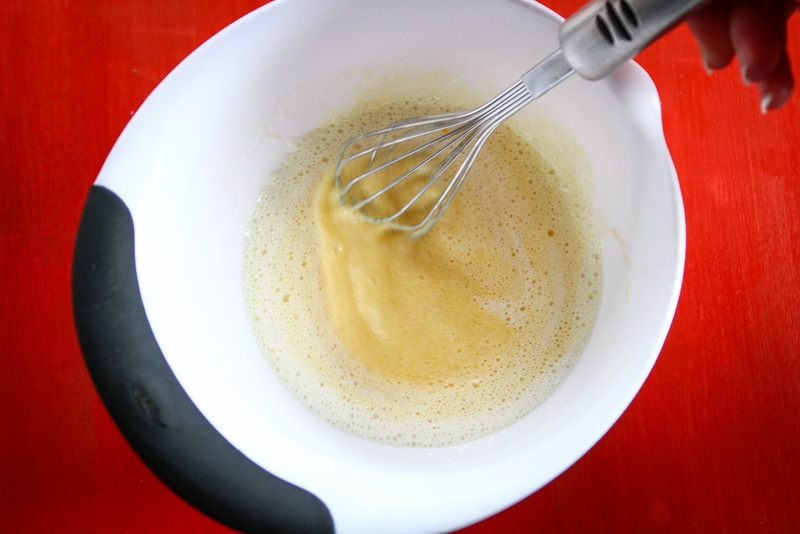 In another bowl, mix the buttermilk, canola oil, egg, and vanilla extract. 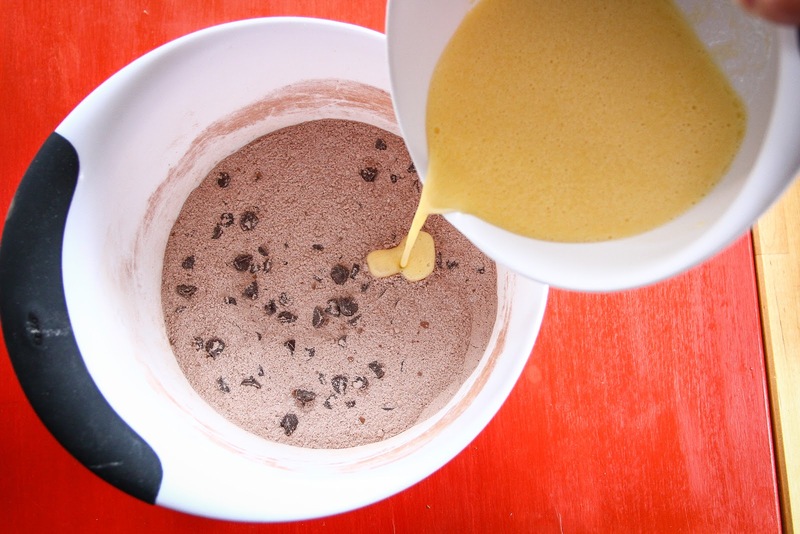 Pour the wet mix slowly to the dry mix, and stir together. 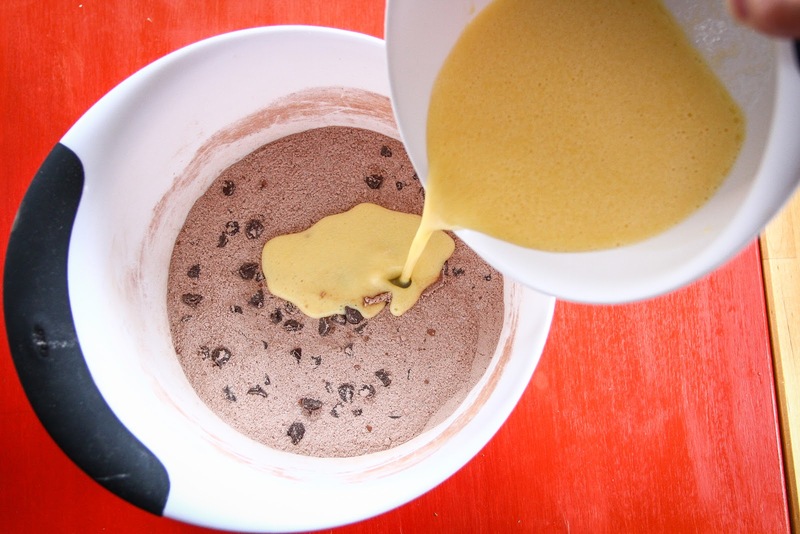 Slightly oil your muffins trays, and add the batter into them. Bake the muffins for about 15 to 20 minutes. 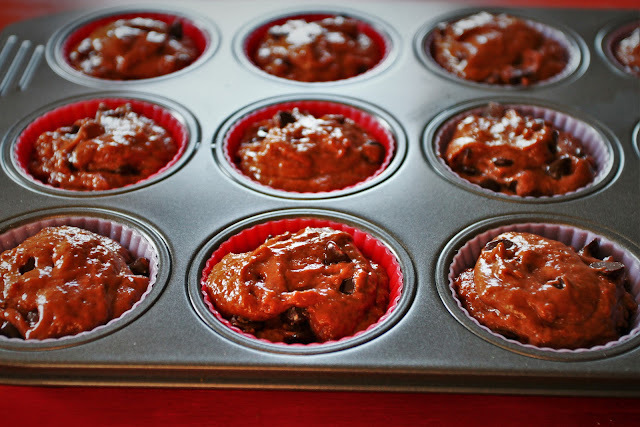 Make sure to check at 15 minutes the inside of the muffins by poking with a knife. 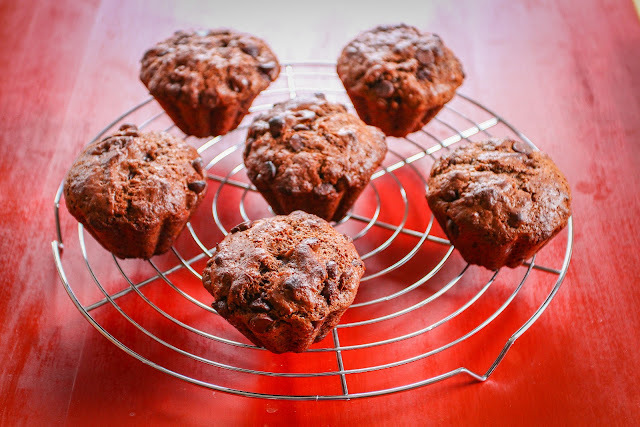 If the knife gets out clean, the muffins are baked. 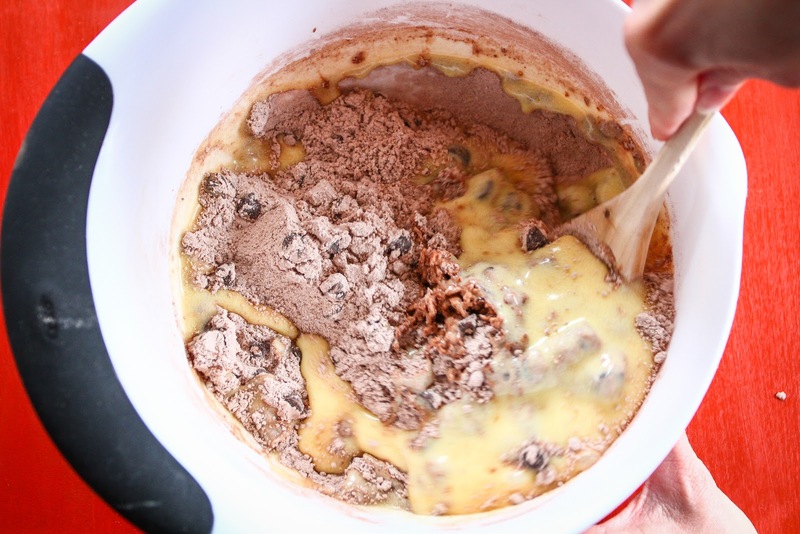 If the knife gets out with some uncooked batter, let them bake a few more minutes. 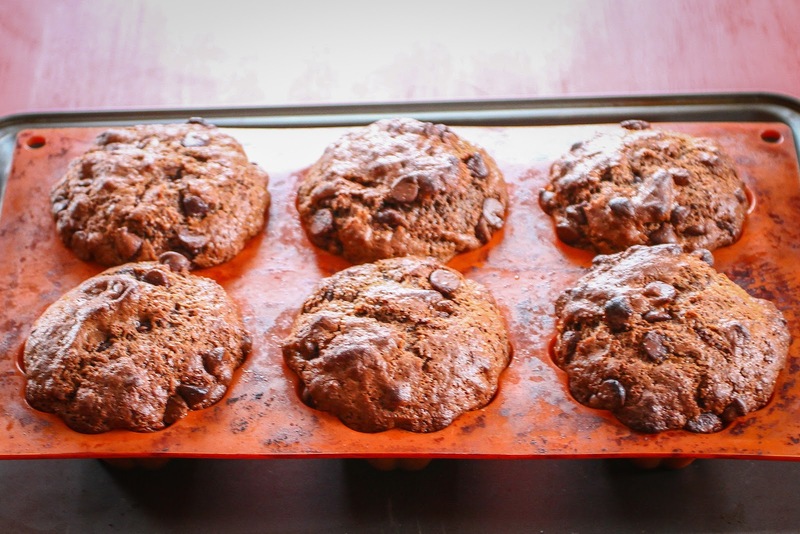 Once baked, let the muffins rest until serving time. 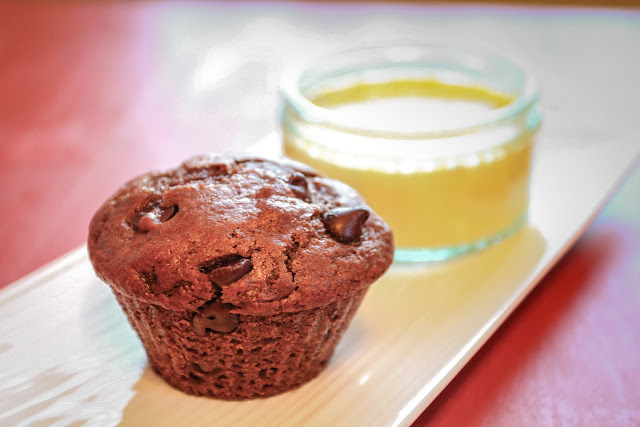 As a suggestion, you can serve the chocolate-chocolate chip muffins with a delicious vanilla cream or a cardamom cream. 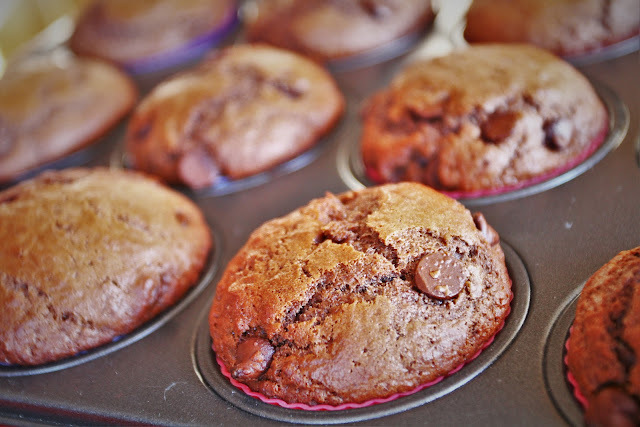 *Note: For the small-sized muffins, don't forget to readjust your baking time to 12 to 13 minutes.